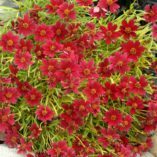 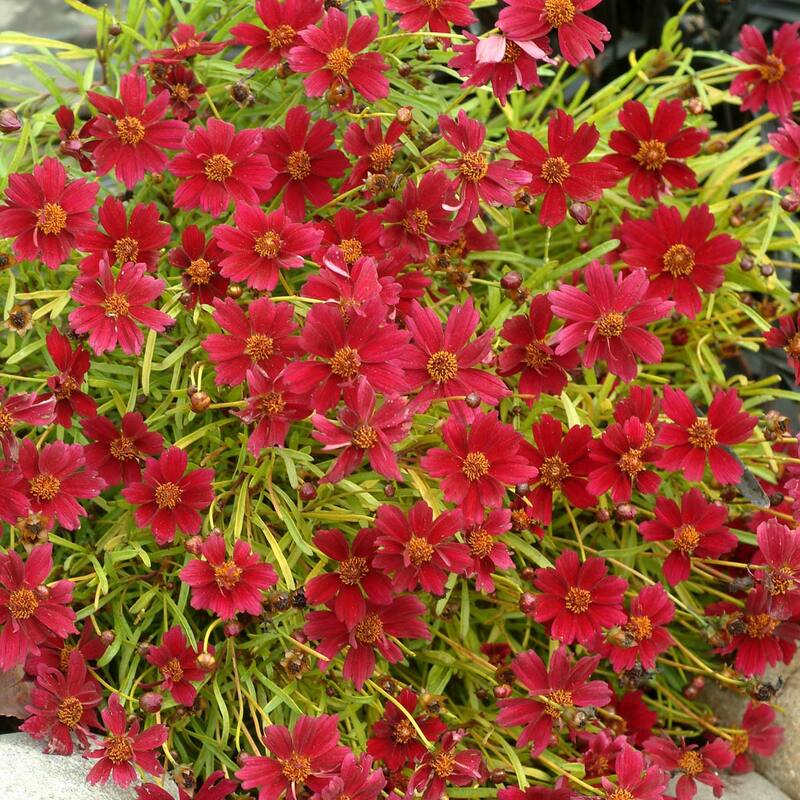 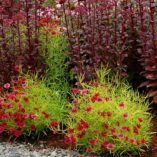 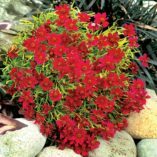 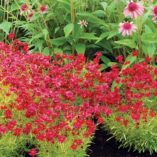 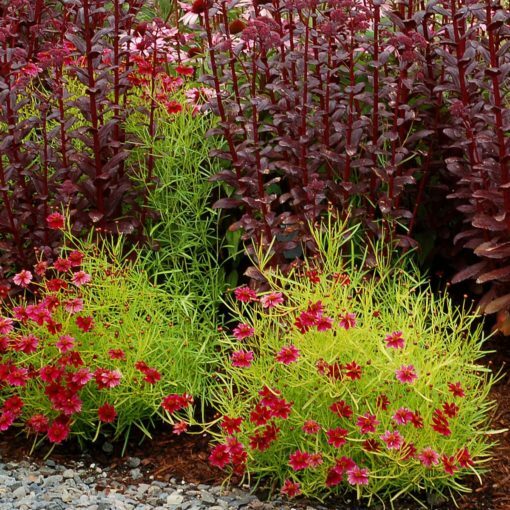 Coreopsis ‘Strawberry Lemonade’ | TERRA NOVA® Nurseries, Inc.
Rose pink flowers and bright golden foliage. 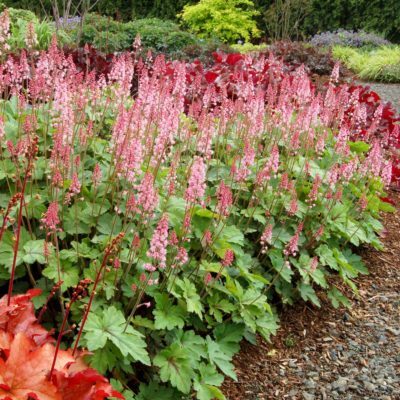 Gives a long season of interest. 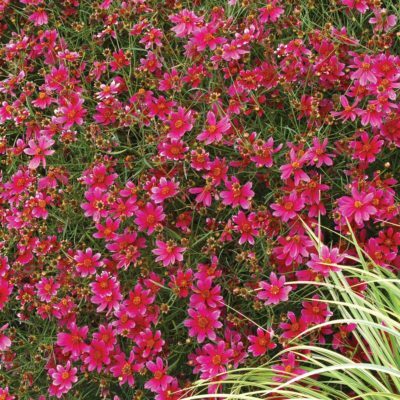 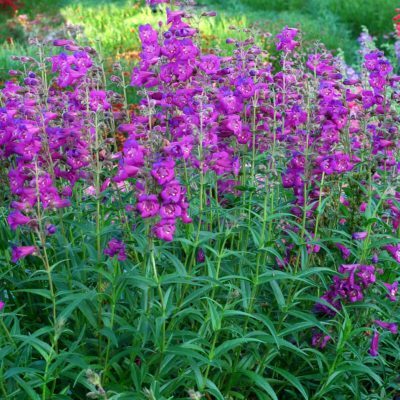 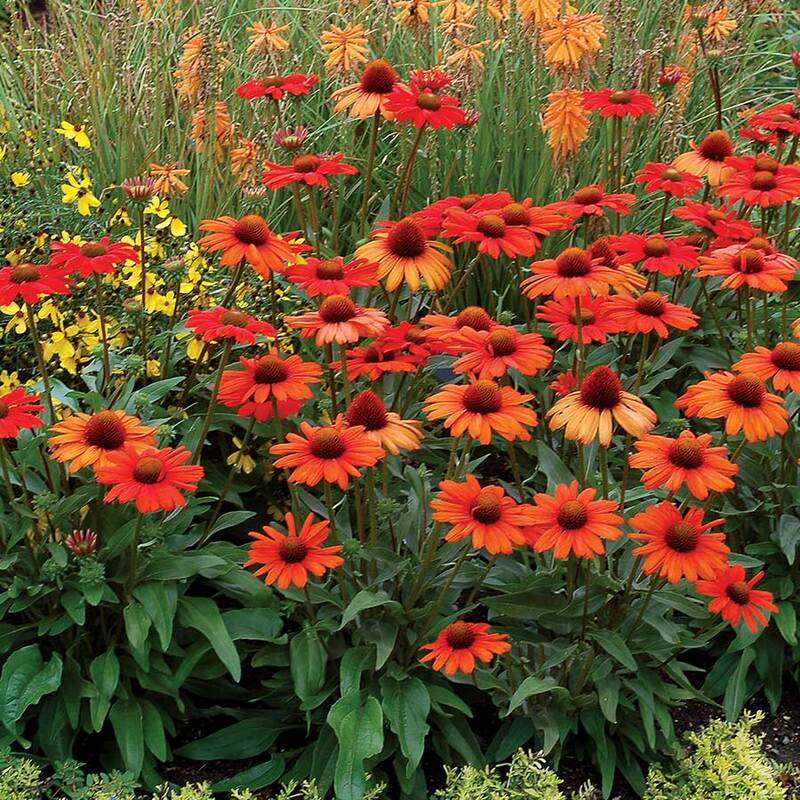 Grows easily as a low mound. Blooms all summer. 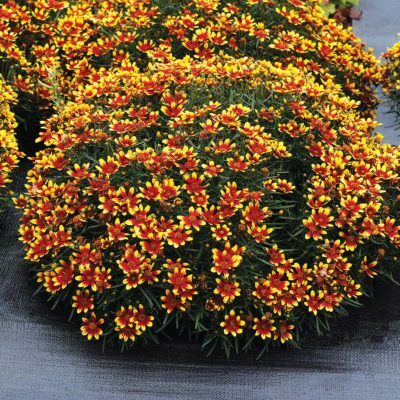 8" / 14" / 9"
It has gold foliage and a compact habit.